Minecraft Beta 1.6.0.1 - what's new? Hi, friends! Today we are gonna talk about a new version of Minecraft Beta 1.6.0.1! The developers of Mojang did not announce the appearance of phantoms in the Aquatic Update, but this innovation introduces this innovation. Apparently, they decided to change their decision and please Mineraft Bedrock players with barrier blocks and phantoms. In this news we will review the main additions and changes in MCPE 1.6.0.1! 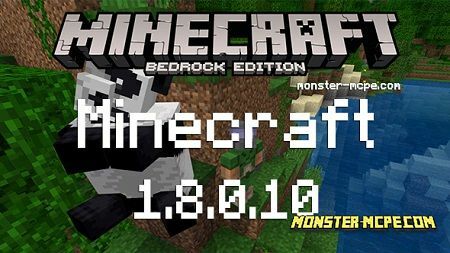 What's new in Minecraft Bedrock 1.6.0.1? When players do not sleep for 3 consecutive days, you can meet phantoms in the game world. A new object is the barrier block. What it is? This is a special kind of block that will create a limit for moving. In particular, it is useful for those who create maps with a limited territory. They can be placed in Creative mode, and such blocks will be invisible in Survival mode. To get the block of the barrier you can use it in a text command, and they can not be found in Creative mode. How has the interface changed in MCPE 1.6.0.1? There is a right way to get a barrier block. Use a simple text command. Enable Cheats in the game world, and then type / give @s barrier_block. You can download Minecraft PE 1.6.0.1 for free right now - just follow this link. Have a good game! Download Minecraft Beta 1.6.0.1 - what's new?